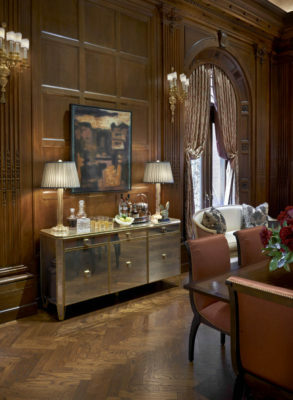 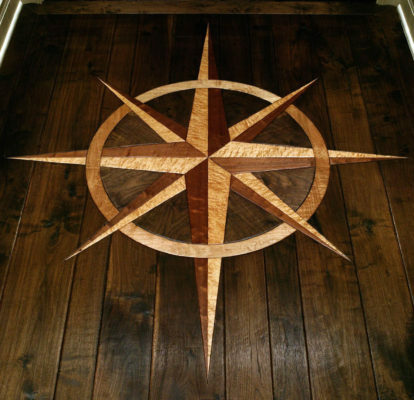 Provide ¾” x 4″, 5″, 6″, 7″, & 8″ Character Walnut hardwood flooring.All boards are to be 6′-12′ in length, end matched, underscored, and the undersides sealed. 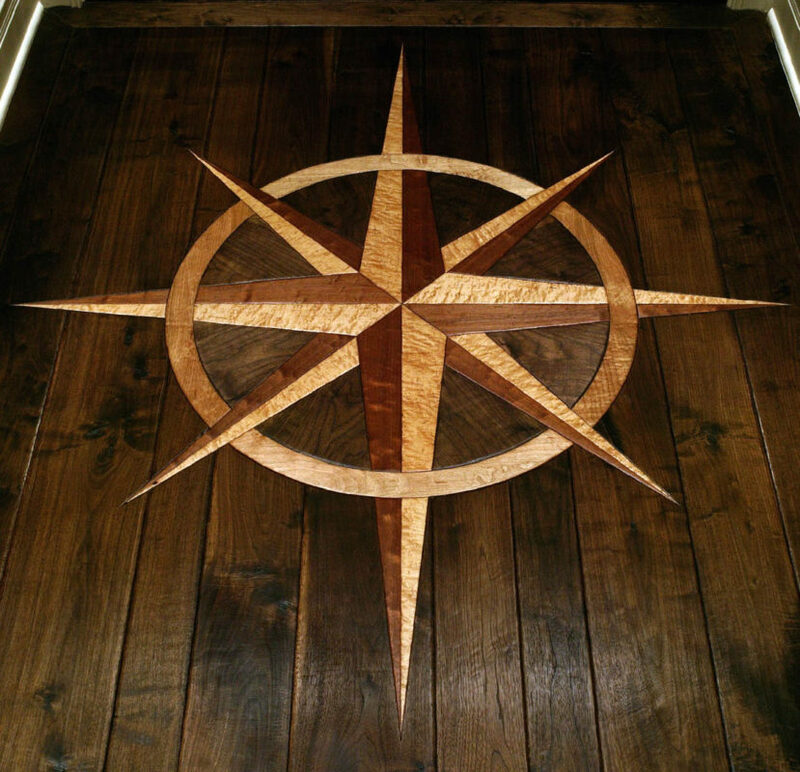 In our shop:Clean and fill all knot holes.Hand scrape medium and hand bevel light to medium [samples are to be provided to determine the exact amount of scraping and beveling].Aniline dye, stain, and burnish in 1 coat of Oil.Install in the field perpendicular to the joists in a random pattern by gluing using urethane adhesive and blind nailing.After the completion of installation, cover all floors with cardboard and the walkways with masonite.At the proper time in the project, uncover the floors, detail, burnish in 1 coat of Oil and 1 coat of Wax. 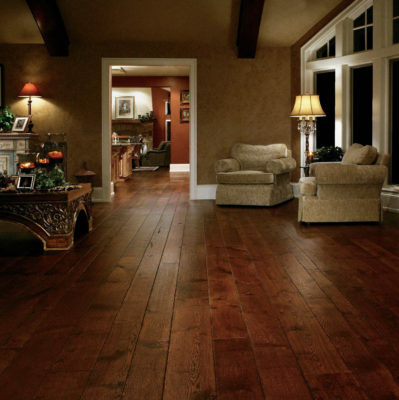 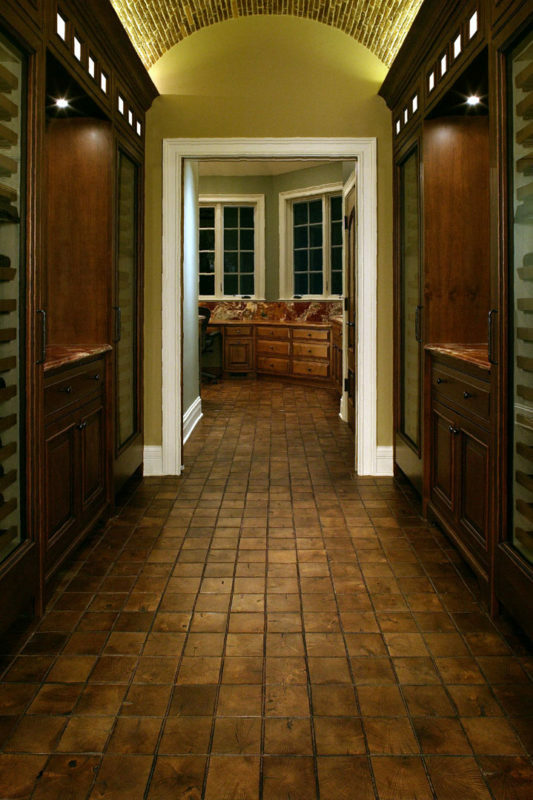 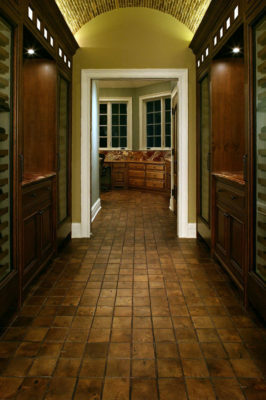 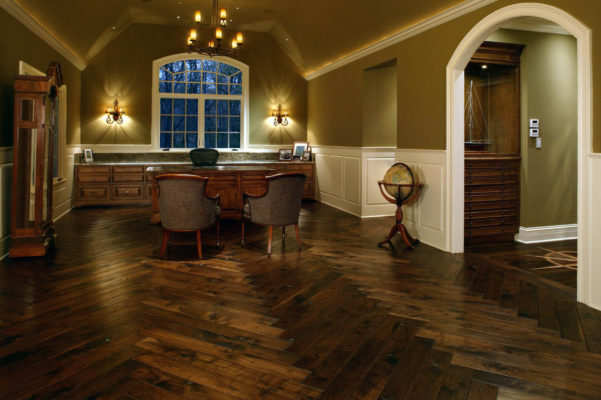 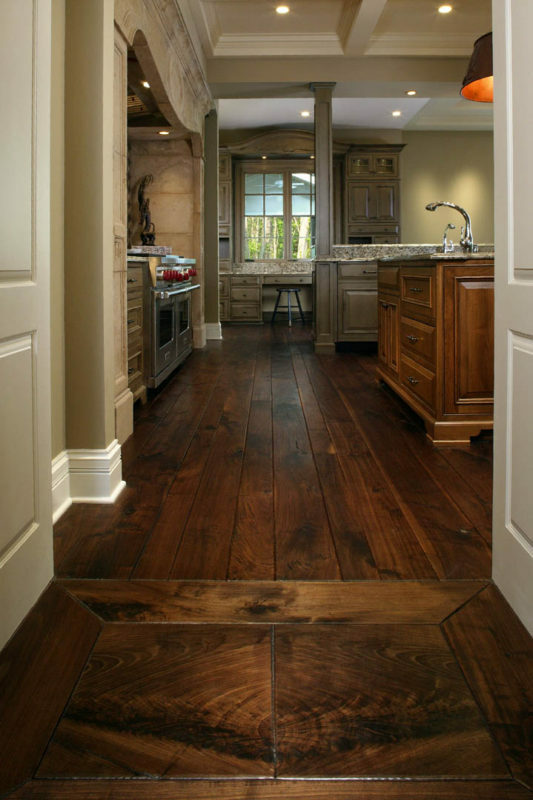 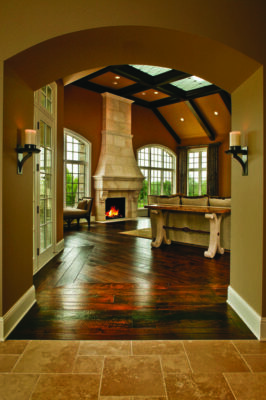 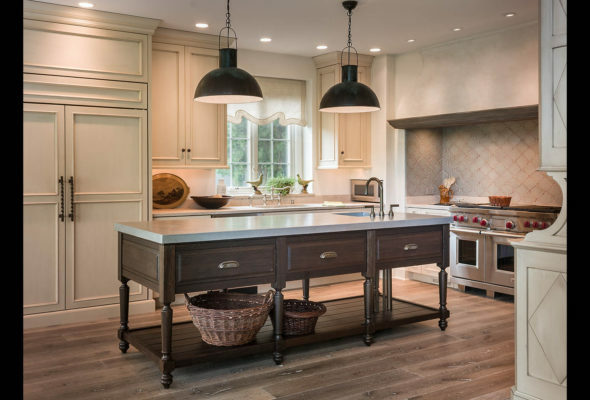 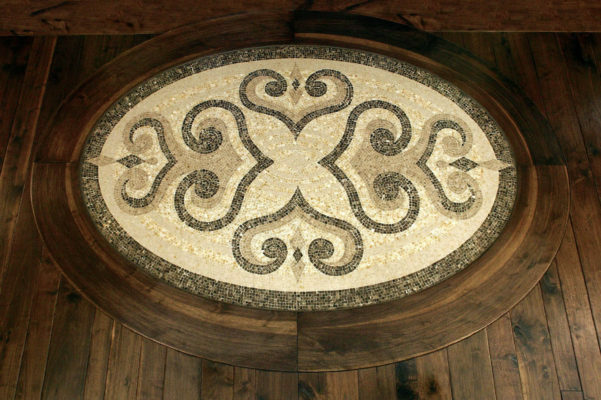 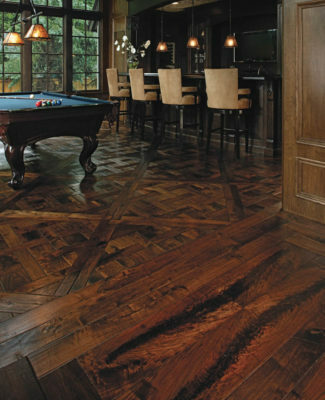 Provide ¾” x 4″ x 4″ or ¾” x 5″ x 5″ Reclaimed Mix Oak end grain hardwood flooring.